Women athletes don’t make as much as men…. There crowds aren’t as big…. There TV shows don’t get the same ratings…. 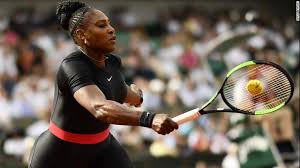 But the men to women pay gap is VERY large…..
From Serena Williams to the U.S. Women’s National Soccer Team, there is clearly no shortage of women at the top of their athletic game. And yet, for most sports, the pay gap between elite female athletes and their male counterparts continues to widen. Why it matters: Economics speak volumes and the dollars just aren’t there for nearly all female athletes, even those playing professionally. Professional women’s leagues in softball, ice hockey and soccer have struggled to survive, while even the WNBA has low pay that prompts many female stars to play overseas either instead of, or in addition to, playing professionally in the U.S.
Women’s sports and leagues are less likely to be aired on big networks and during prime TV spots, decreasing their exposure and their ability to cultivate stronger brand recognition. And some of the trends boosting sports revenue the most, such as esports and legalized gambling, seem only poised to exacerbate the matter by focusing primarily on men’s sports. Yes, but: Women have had some success in collectively bargaining for better pay…..